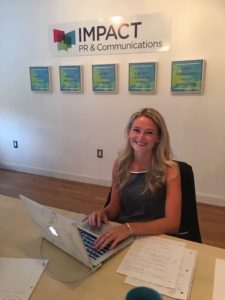 Senior year is all about reflection––and looking back on my four years at Marist College, one of the most standout experiences of my college career has been my time as an intern at Impact PR & Communications. Now in my second semester as an intern at Impact, I’ve learned a lot about what it takes to get the most out of an internship. When I started as an intern at Impact in the fall of my junior year, I had hopes of gaining experience in an agency setting and honing in my public relations writing skills. It was my first internship––the all-important “get-your-foot-in-the-door” position that would give me the opportunity to show my skills and prove myself in the world of PR. But what was supposed to be a semester-long, introductory foray into the world of PR turned into an invaluable multi-semester experience in which I got to learn from some of the best PR pros in the Hudson Valley. 1. Familiarize yourself with your company’s clients. When starting out at a new PR firm, the best thing you can do to prepare is familiarize yourself with the company’s clients. The better you understand your clients’ goals, the better you’ll be able to cater to their needs. As an intern, this is a huge opportunity to stand out. Many interns will be able to write a general press release but knowing the specifics of each client and their target audiences will make your writing more effective and impressive. 2. Get involved with as many different projects as possible. It’s easy to get comfortable building media lists and media monitoring as a PR intern, and it’s a good bet that for many days this is what you will be doing. However, it’s important to talk to your mentors and let them know you’re interested in other projects as well. Is there a client hosting an upcoming event? Ask if you can tag along. Is there a new social media campaign getting launched? Ask to sit in on those meetings. 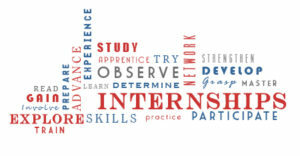 Working on a diverse range of projects not only enhances your resume, but also enriches the experience as a whole, and asking to be involved will show your mentors that you are genuinely interested and invested in your internship. PR is not all press releases and dinner parties, although that often is the general public’s perception of the industry. There are many “business-y” aspects to the world of PR, and if you’re interning at a small or boutique agency, it’s a great chance to learn about the often-overlooked business side of PR. Is your boss in the midst of landing a new client? Ask if he or she can explain the process to you. Is your team developing a budget plan for a new campaign? Ask to be a part of the planning process. Having at least a basic understanding of how public relations operates as a business (as well as a communications organization) will not only impress future employers, but will also give you a leg up when moving from entry level positions to management positions. Remember, you were hired for a reason. Your mentors saw potential in you and your skills and have given you a great opportunity to sharpen those skills while learning more about the PR industry. Don’t think of yourself as “just an intern”. You’re capable of bringing in fresh ideas from a younger perspective, social media savvy, and much more. Thinking of yourself as an integral part of the team rather than just auxiliary support will not only boost your confidence, but it will also add value to the work you do and the time you spend at the office. 5. If you have an idea, don’t be afraid to suggest it! This tip goes hand-in-hand with thinking of yourself as more than “just an intern”. Don’t underestimate the value of your ideas. 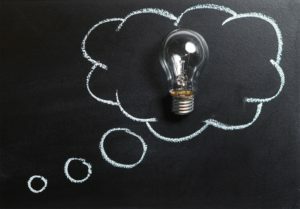 It’s easy to think that since you are new to the industry, you don’t have enough experience to back up your ideas or that your ideas will seem unrelated to the task at hand. However, your limited experience can bring a new perspective to the team, which can be especially crucial in times of creative dearth. It’s natural for teams that work with the same company for a few years to begin thinking the same way. As a newbie, you’ll undoubtedly be able to bring fresh ideas that your coworkers may not have thought of, so never be afraid to pitch your ideas, even if they seem too big or broad to accomplish. You never know what one of your ideas will spark! To sum up, my strongest advice is to give your internship your best effort. Whether that’s through researching clients, suggesting new ideas or involving yourself in a wide range of projects, experience as many different aspects of the PR industry as you can. As you’ll learn, there’s nothing quite like a fantastic first impression in PR, so use your internship as a way to prove your skills while learning new ones. You’ll get out of your internship exactly what you put into it!